Treat your senses to a day at the farm! 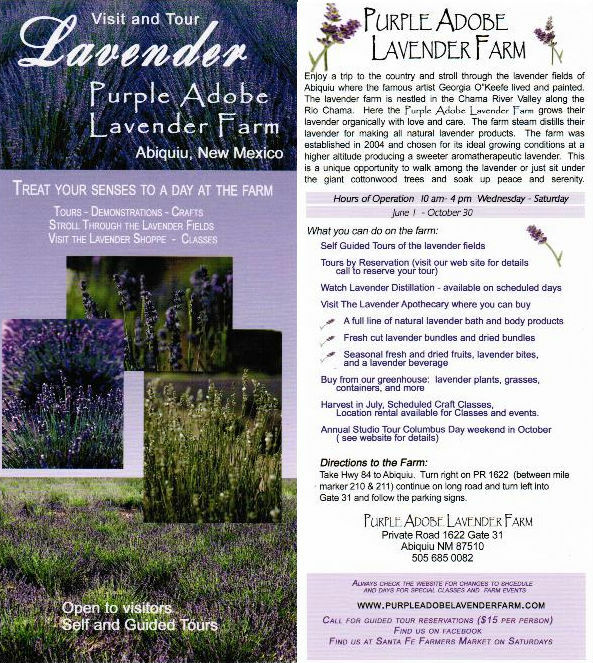 Established in 2004, the lavender farm is nestled in the Chama River Valley along the Rio Chama. — Seasonal fresh and dried fruits, lavender bites and a lavender beverage.